The Bodyblade® is an advanced performance training and conditioning tool. Due to the low-level vibration and inertia, the Bodyblade® improves strength, balance, coordination, posture, and core stabilization. 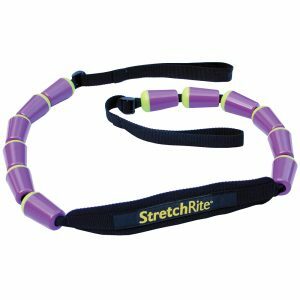 It features a smooth and variable resistive workout with its rapid contraction technology. This technology rapidly changes directions at a rhythm of 4.5 cycles per second, which translates to the user’s body reacting 270 times per minute to resist the forces of the blade moving back and forth. What this means is that the user’s body becomes the machine and the Bodyblade® becomes the exercise partner. 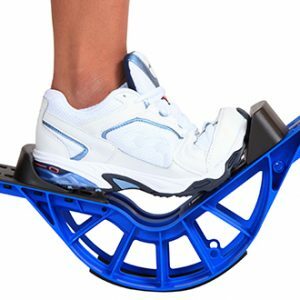 The unique, oscillating action makes it an ideal choice for treating acute injury, chronic disability and post-surgical rehabilitation in a variety of environments and task-oriented activities. 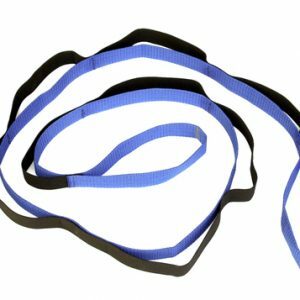 CLASSIC : The lightweight and portable Classic Style comes in black and is 48″ length. 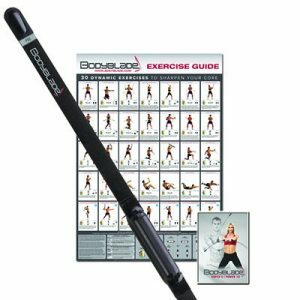 The kit includes a Bodyblade® Classic (1-22 pounds of resistance), Super 6 / Power 10 DVD and Exercise Wall Chart. PRO : The ightweight and portable Pro style comes black in color and measures 60″ in length. 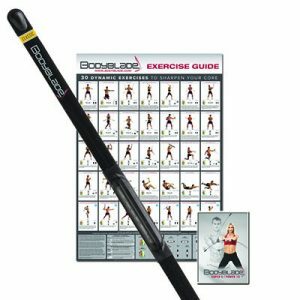 The kit includes a Bodyblade® Pro (1-34 pounds of resistance), Super 6 / Power 10 DVD and Exercise Wall Chart. 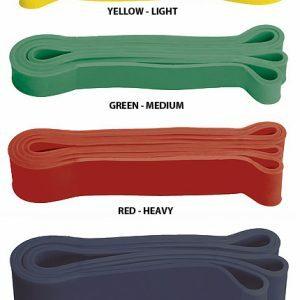 CTX : The lightweight and portable CxT is yellow and 40″ long. The kit includes a Bodyblade® CxT (40 in. 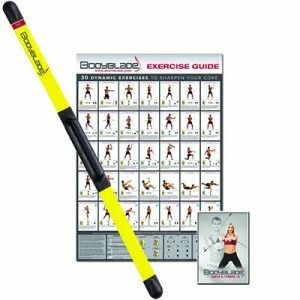 x 1.75 in., 1-8 lbs resistance), Super 6 / Power 10 DVD and Exercise Wall Chart.